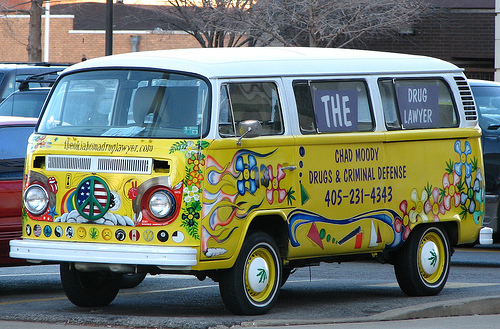 From Flickr member Jason B comes this great picture of Oklahoma City attorney Chad Moody's "marketing vehicle." Any personal injury lawyers out there using ambulances? Here's one for cheap.